CLIMATE change will alter the Australian landscape so dramatically and so quickly that our grandchildren could live in a very different country, according to a landmark CSIRO study. And the study's lead researchers fear Australians may not be ready to accept the new way their country may soon smell, sound and look. The Commonwealth's science and research body has produced the first "Australia-wide assessment of the magnitude of the ecological impact that climate change could have on biodiversity" and how the changes could be managed. It says totally new environments will emerge while others vanish and there will be a decline in forest environments, which will give way to shrubs and grasslands. "Climate change is likely to start to transform some of Australia's natural landscapes by 2030," said lead researcher Dr Michael Dunlop, from the CSIRO's Ecosystem Sciences division. "Many of the environments our plants and animals currently exist in will disappear from the continent. Our grandchildren are likely to experience landscapes that are very different to the ones we have known." The changes will be so profound that they will have major implications for management of the environment and, in particular, Australia's national parks and nature reserves. "If future generations want to experience and enjoy our distinctive plants and animals and the wonders of the Australian bush, then we need to give biodiversity the greatest opportunity to adapt naturally in a changing and variable environment, rather than trying to prevent ecological change," Dr Dunlop said. The study identified a range of management options, including ensuring there is plenty of habitat of different types available for plants and animals. "But one of the biggest challenges could be the community accepting the levels of ecological change that we could experience," Dr Dunlop said. "Familiar species declining, and species from different areas turning up and establishing; ecosystems people grew up with gradually changing and becoming something new; looking, sounding smelling different. "I don't know if we are ready to accept this level of change. "This is also a challenge for conservation science and policy. Current conservation is largely focused on keeping things the same, or restoring their condition. That is quite different from managing ecological change, maintaining the health of an ecosystem as it changes from one type of ecosystem to another." Wary of past criticism, the CSIRO says it is confident in the accuracy of the complex computer models it used. Twenty five years of runaway global warming and winters here in the southeast of Aus are colder than ever. I am sitting here in three layers and a scarf in my living room, halfway through the first month of spring. I have burnt over 2 tonne of wood since May. 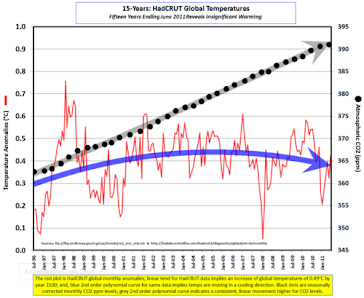 I am starting to suspect that these so-called scientists have no clue whatsoever. It's because we, in south-east aus, live in a temperate climate. 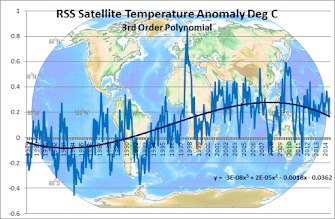 Global temperatures rising doesn't necessarily mean that our winters/start of spring are going to be noticeably hotter. It just means you are getting older and cannot cope with the cold. You are very old and you are probably going to die soon. You are too old to comprehend a basic scientific theory. The argument of "it's cold here, nothing is happening" is so idiotic it makes me very sad at times. Your crass comment shows a complete lack of intellect and I feel quite sorry for you. I would be interested in your life experience which has made you knowledgeable enough to make such ageist remarks and be able to comprehend the Scientific Method. You should be sad because you are not very bright and that is a heavy burden to bear. Paul also needs to lighten up and understand that the rubbish produced by the biased computer modelling he calls science does not deserve anything other than cryptic comments along the lines provided on this excellent site. He also needs to understand that the type of fear mongering these so called 'Scientific Studies' promotes is designed to do nothing more than justify the billions of dollars wasted on them and continue the flow of grant monies into the coffers of the hungry institutions behind them who are also attempting to justify their very existence. Is he truly suggesting these people should be insulated against the inevitable fallout that must occur when their dire predictions fail to come true? Surely he must agree that there has to be a day of reckoning one day given these false predictions are not only causing vast sums of money to be wasted, but also causing irreparable harm to real estate values and mental torture to those fragile souls who live in constant anguish over the prospect of a world doomed to disappear under the oceans, or to being burned up by the sun. I'm in agreement with Baron and Teejay. Paul should learn something about true scientific method - and respect for other people.